The Country Music Hall of Fame® and Museum will recall and offer its perspective on the past calendar year with the opening of its first exhibition of 2019, American Currents: The Music of 2018, on March 8, 2019. The exhibit runs through Feb. 8, 2020. The exhibit carefully examines the previous year in country music, defined broadly to include country-related styles such as Americana and bluegrass music, and offers rich detail about the noteworthy figures and events in country music's recent past. "Each year brings new components to the country music story, and 2018 was no different," Kyle Young, CEO, Country Music Hall of Fame and Museum, sai. "Last year, we witnessed extraordinary chart and tour success, exciting collaborations, and well-deserved honors. American Currents allows us to highlight these moments while showing their significance in country music history." American Currents changes annually to reflect the top stories and trends of the past year in country music. Museum visitors learn about the deep history of the music in the permanent exhibition, Sing Me Back Home, and they get a glimpse of country music's ongoing evolution as a popular art form in American Currents, which highlights the full spectrum of activity in country music. For more information about the exhibit, visit countrymusichalloffame.org. The Country Music Hall of Fame® and Museum collects, preserves, and interprets country music and its history for the education and entertainment of diverse audiences. In exhibits, publications, and educational programs, the museum explores the cultural importance and enduring beauty of the art form. 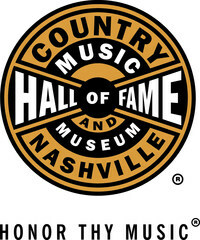 The museum is operated by the Country Music Foundation, a not-for-profit 501 (c)(3) educational organization chartered by the state of Tennessee in 1964. The museum is accredited by the American Alliance of Museums, and welcomes over one million patrons each year, placing it among the most visited museums in the U.S. The Country Music Foundation operates Historic RCA Studio B®, Hatch Show Print® poster shop, CMF Records, the Frist Library and Archive, and CMF Press. Museum programs are supported in part by the Metropolitan Nashville Arts Commission and Tennessee Arts Commission. More information about the Country Music Hall of Fame® and Museum is available at countrymusichalloffame.orgor by calling (615) 416-2001 .